﻿The story and struggles of our early Mint are well known. 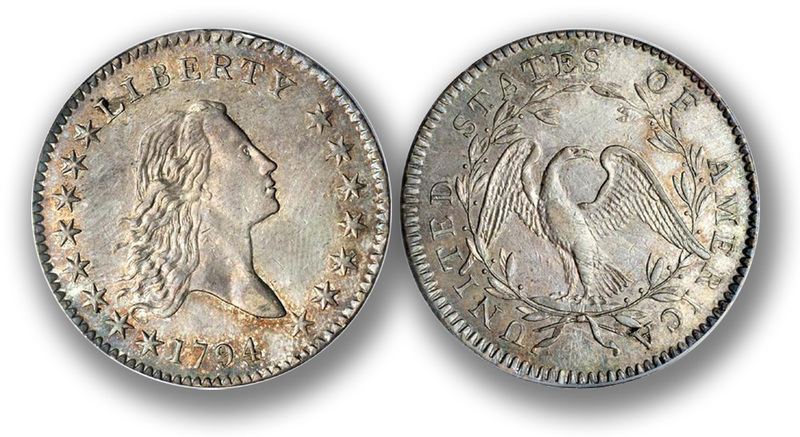 The story of the Bust Half dollar, minted from 1794 - 1836, is intimately intertwined within those struggles. 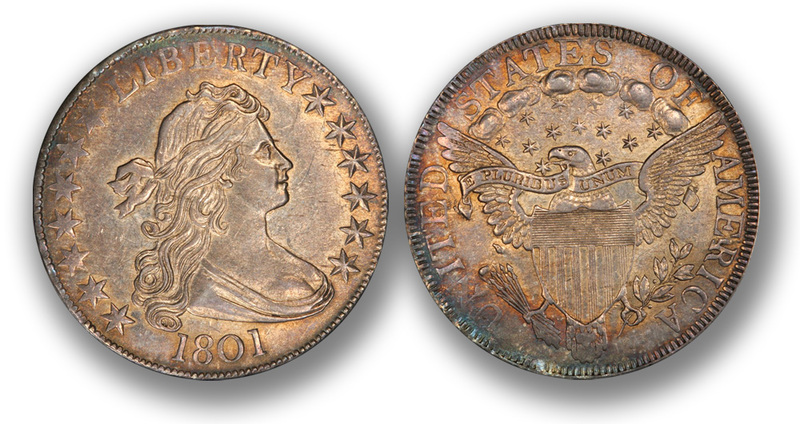 In 1796 a new obverse was introduced with a different portrait of Liberty known as the "Draped Bust" type. The reverse was also changed to a smaller eagle perched upon clouds and a denomination (1/2) was added under the wreath. Early half dollars were not struck in every year, as depositors of gold and silver bullion requested other denominations be made of their deposits. Due to this lack of demand, Bust Halves were not minted in 1798 - 1800. In 1801 when Bust Halves were once again struck, the same obverse design was retained, but a new "Heraldic Eagle" reverse was introduced. This design was basically copied from the great seal of the United States. The Draped Bust / Heraldic Eagle design was utilized from 1801 to mid 1807, when a new design was introduced for both obverse and reverse created by new assistant Mint engraver John Reich. This new design reversed the portrait of liberty that now looks left, and added a freedom cap or a turban on her head. 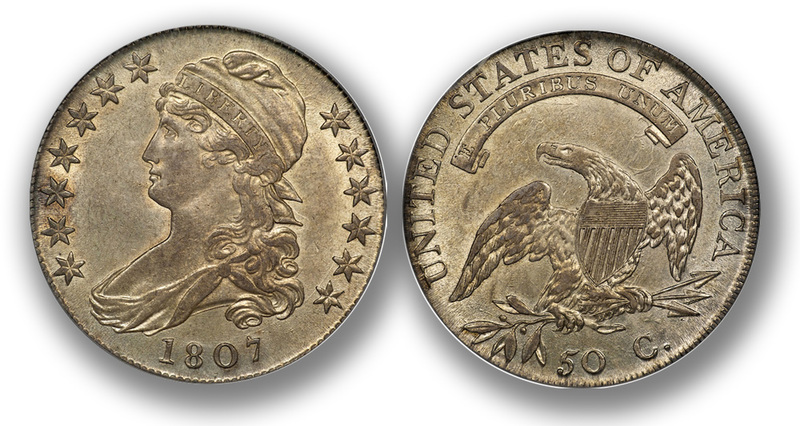 The reverse was also redesigned with a different eagle, motto on a scroll above it and the denomination "50 C." below. This design is known as the "Capped Bust" type and was struck in much larger numbers than all preceding years of the other types. This design was used from 1807 till 1836, the end of the lettered edge series. Starting with a small quantity produced in late 1836, all halves produced after this time were struck on a steam press and were struck inside a collar die that imparted a reeded edge to the coin during striking.